The Yatra SMART choice property comes with a promise of 8 assured amenities, money-back guarantee and priority helpline support. You also get free cancellation and standardized prices through the year.Situated near the highway, Cedrus By Evoke Resort offers complimentary breakfast and Wi-Fi access to its guests. 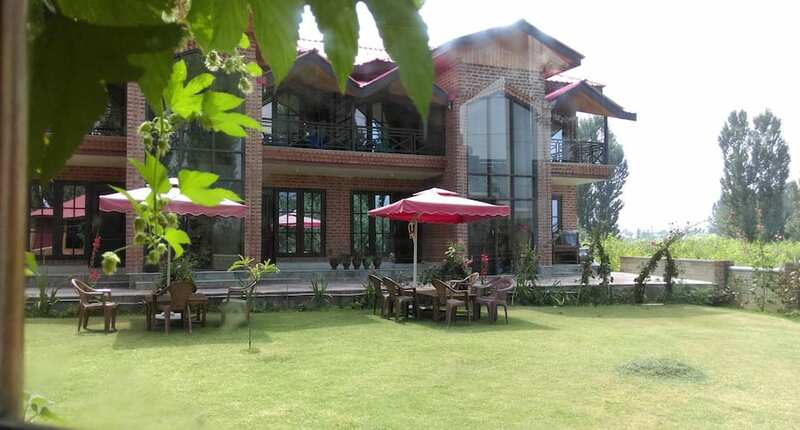 This resort in Srinagar is located at a distance of 9 km from the Dal Lake and 14 km from the Srinagar Railway Station.It comprises of 20 spacious and well-kept rooms spread across 2 floors. Each room has amenities like television, bottled drinking water, desk, telephone, wardrobe and balcony. It also has an en-suite bathroom with hot and cold running water facility.Cedrus By Evoke Resort has luggage storage and front desk facility. Services like airport transfer (surcharge), laundry and room service are also offered to its guests.This resort in Srinagar is 4 km away from the TRC Bus Station and 12 km away from the Sheikh Ul-Alam International Airport Srinagar. Some of the tourist attractions are Nishat Garden (13 km), Nigeen Lake (67 km) and Shankaracharya Temple (11 km). Reason For Rating : it is not at all an official hotel, I don't know how yatra associating in this type of hotels. they just locked us in the hotel there were no body available, no hot water in the tap, no body responded till 9 am in the morning. only after yatra intervened people have responded. weather of -11 degrees imagine our fate. It's barely 10 mins from the airport the resort has fantastic view. I stayed in this resort along with my younger sister I had a fabulous time Arshu Shah made us comfortable we enjoyed lovely mocktails and food in the evening trust me it was delicious the cafe has collection of books good ambience music ... As it was freezing we were kept warm there are arrangements for bed warmer hot water for shower extra blankets the rooms were neat and clean good interiors and good view it has outdoor lawn for parties as well over all my two nights stay was amazing. I stayed at this property from 7 Nov 18 to 10 Nov 18. Pros: -Hotel ambience is good. -Food is tasty. -Hotel owner, Mr. Imran is very good person, but unavailable at the hotel. Cons: -The property is located in outskirts of Srinagar -Very limited breakfast and dinner options. Most of the dishes in their menu are not available. -No restaurant or shops near by the property. -Never rely on their assurance of providing cab for airport drop, else you will miss the flight. -If you don't book their cab for arrival, they will Not even offer welcome drink. -The guy at the reception, Mr.Arsalan(Arshu) Is very non cooperative. He will Mess up everything. I will not recommend anyone to book this property without booking their travel cab, else they will treat you anyway. Pictures/positive reviews posted by Cedar are misleading, we got fooled and destroyed our vacation and money,had ill health after return. Choose any room you will receive the best quality and greatest hospitality. Before my check in have gone through all the rooms. All are excellent. All rooms are good and has a fantastic view. so choose any and it doesn't matter.